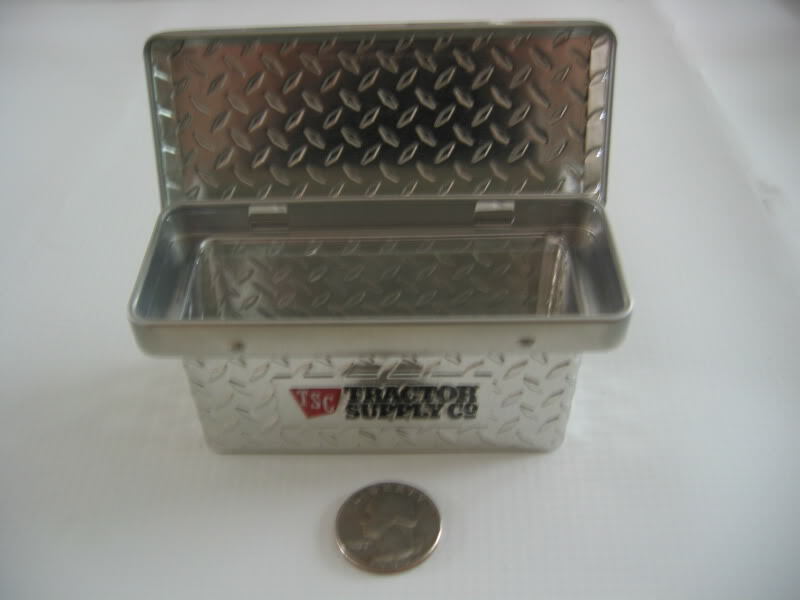 This is a functional miniature tool box. 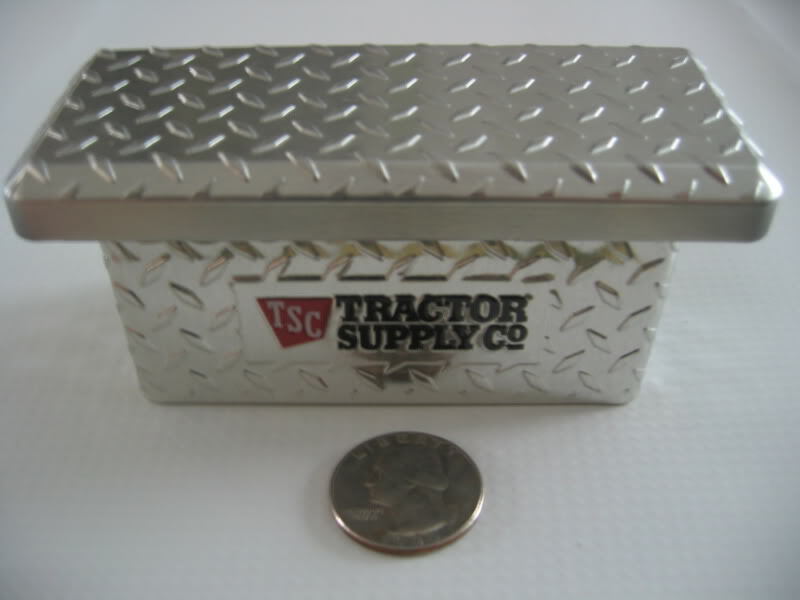 Box features opening lid and is made from diamond-plate stamped metal. Note: Approximate dimensions: 4" wide x 1-1/2" deep x 2" high. Quarter illustrates overall size. Shipping Charges: Our shipping charges are $5.50 for the 1st item and $1.00 for each additional purchased. This product was added to our catalog on 12/15/2010.